Someone needs to delete the excessive child pages. The excessive pages need deleting. There should be the intro by Meltzer, article by Bukharin and response from Fabbri. All have notes which I did not sus out from the formatting. Hi, I have found all the articles now, and looks like the extra one has been deleted, but I still don't understand what the articles are exactly, and how they should be arranged. does this make sense? I could do that, but the thing I'm not sure about is what is actually called "anarchy and scientific communism"? Is that the article by Bukharin? 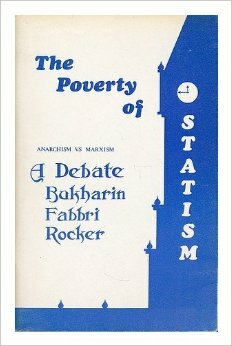 Bukharin's piece is Anarchy and Scientific Communism and Fabbri's response is Anarchy and "Scientific" Communism. If the html does not allow quotation marks the articles will appear to have the same title. Does this look okay now? With the Bukharin piece, you actually posted it in a different book, but I have moved it here. Easiest way to add child pages is to just click "add child page". The intro boxes are for putting in a quick explanation of what the subsequent article is about. Many thanks for posting it up! Thanks for bumping this. I reposted it on my FB page as some comrades were recently taking about this very pamphlet.